“…one must go on jihad at least once a year...one may use a catapult against them [non-Muslims] when they are in a fortress, even if among them are women and children. One may set fire to them and/or drown them…One must destroy their useless books. Jihadists may take as booty whatever they decide... Christians and Jews must pay...on offering up the jizya, the dhimmi must hang his head while the official takes hold of his beard and hits on the protuberant bone beneath his ear ... they are not permitted to ostentatiously display their wine or church bells... their houses may not be higher than a Muslim’s, no matter how low that is. The dhimmi may not ride an elegant horse or mule; he may ride a donkey only if the saddle is of wood. He may not walk on the good part of the road. They have to wear an identifying patch [on their clothing], even women, and even in the baths... dhimmis must hold their tongue...” (Kitab Al-Wagiz FI Figh Madhad Al-Imam Al-Safi’i pp. 186, 190, 199-203) (Andrew Bostom Legacy of Jihad) 2) Averroes (Ibn Rushd, 1126-1198) - Famous Maliki jurist, renowned philosopher and legal scholar, highest Maliki authority in Córdoba during the Golden Age™ of Islam in present day Spain. He wasn’t successful advancing Greek philosophy in Islam, but is often cited today as an example of Islamic tolerance just because Europeans were interested in his teachings. 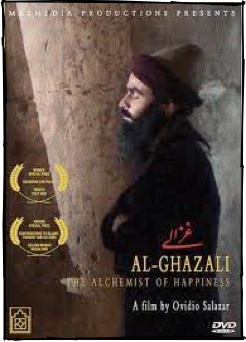 He wrote The Incoherence of the Incoherent to counter the late Ghazali’s The Incoherence of the Philosophers, but in 1195 A.D. in Cordoba, Spain, Averroes' books were burned in the city square, he was sent into exile, and the teaching of philosophy was banned. His works in Arabic today have been back translated from either Latin or Hebrew, the languages most of his books were preserved in. Statue of Averroes in Córdoba ￼ Golden Age™ Moderate™ Supremacist Yet he made this ruling on Koran 9:29 and others in his most important work Bidayat al-Mujtahid wa-Nihayat al-Muqtasid. His interest in Greek philosophy did not conflict with his opinion of IS&J: "According to the majority of scholars, the compulsory nature of the jihad is founded on sura 2:216: ‘Prescribed for you is fighting, though it is hateful to you.‘... Scholars agree that all polytheists should be fought; This founded on sura 8:39: “Fight them until there is no persecution and the religion is God’s entirely"… the Muslims are agreed that the aim of warfare against the People of the Book... is twofold: either conversion to Islam, or payment of poll-tax (jizya). This is based on (9:29)... There is, however, controversy with regard to polytheists who are not People of the Book: is it allowed to accept poll-tax from them or not?” More Averroes 3) Imam Ibn Taymiyya (1263 - 1328) - Famous Hanbali jurist, Sufi, theologian, scholar, Professor John Esposito calls him “a pious Sufi” (Unholy War). His Sufi mysticism had no conflict with this: Since lawful warfare is essentially jihad and since its aim is that the religion is God's entirely and God's word is uppermost, therefore according to all Muslims, those who stand in the way of this aim must be fought... As for the People of the Book and the Zoroastrians, they are to be fought until they become Muslims or pay the tribute (jizya) out of hand and have been humbled. With regard to the others, the jurists differ as to the lawfulness of taking tribute from them. Most of them regard it as unlawful...” (Excerpted from Rudolph Peters, Jihad in Classical and Modern Islam (Princeton, NJ: Markus Wiener, 1996), pp. 44-54.) (Andrew Bostom Legacy of Jihad) "There is a Hadith related by a group of people which states that the Prophet said after the battle of Tabuk: 'We have returned from Jihad Asghar [lesser] to Jihad Akbar' [greater]. This hadith has no source, nobody whomsoever in the field of Islamic Knowledge has narrated it. Jihad against the disbelievers is the most noble of actions, and moreover it is the most important action for the sake of mankind." (Al Furqan baina Auliyair Rahman wa Auliyaisy Shaitaan, matter 44-45) More Ibn Taymiyya Baha' ad-Din al-`Amili (1547 - 1621) - Famous Shi'ite, Safavid Empire's most senior jurist in the court of Shāh ʿAbbās, wrote an important exposition of Shi'ite jurisprudence in Persian Jami-i-Abbasi. A prolific writer of treatises and books on astronomy, mathematics, religious sciences, philosophy, and poetry (mostly with mystical themes). His mystical poetry did not conflict with his opinion on IS&J: Still celebrated today. ￼ Sheikh Baha’ Al-Din Al-Amili PART SIX: HOLY WAR Islamic Holy war against followers of other religions, such as Jews, is required unless they convert to Islam or pay the poll tax. There are twelve conditions required in paying the poll tax. First condition: According to some Mojtahids those possessing Holy Scriptures, such as Christians, Jews and Zoroastrians, living in Moslem territories are obliged to pay the poll tax, (in lieu of conversion to Islam)... [...] Fifth condition: Those possessing Holy Scriptures must not deceive Muslims or debunk what they [the Muslims] believe in. [...] Ninth condition: Those possessing Holy Scriptures must not disrespect the Muslim Faith. Tenth condition: Those possessing Holy Scriptures are not allowed to practice any un-Islamic behavior such as drinking alcohol, eating pork... Eleventh condition: Those possessing Holy Scriptures must not establish any temples or churches in the Dar al-Islam (Muslim territory), preach or read their religious books loudly, ring their church bells, or build their houses higher than Muslim houses. Twelfth condition: Those possessing Holy Scriptures must be distinguished from Muslims by being attired differently. They must also ride on different animals, sit on one side of the animal [i.e., side-saddle] while riding, and are not permitted to carry any weapon or sword with them. They must also not walk on the road. They cannot hold any title nor can they reside in Mecca or Medina. They are not supposed to buy the Koran or Hadith (collections)... […] A Muslim is allowed to kill the dhimmi unless the dhimmi follows the twelve conditions that are mentioned above in the Jihad section, or the dhimmi converts to Islam. More Al-Amili (Excerpted from Jami-i-Abbasi: yakdawrah-i fiqh-i, trans. Baha' al-Din Muhammad ibn Husayn al-Amili (Tehran: Muassasah-i Intisharat-i Farahani, 1980), pp. 153-154, 367, 417, 423, 428-32; English translation from the Farsi by Fatemeh Masjedi.) (Andrew Bostom Legacy of Jihad) 5) Shaykh Ahmad Sirhindi (1564-1624) - Famous Hanafi jurist, Sufi Indian Islamic scholar, philosopher. “Sirhindi elaborated a new set of Sufi doctrines and disciplines. More than any other Naqshbandi since Bahauddin, Sirhindi became the pivotal figure in India who redefined Sufism’s role in society... Indeed, after Sirhindi’s death, the Naqshbandiyya became renowned as the Naqshbandiyya - Mujaddidiyya, named after Sirhindi’s title of “the renewer of the second millennium.” Note his Sufi mysticism allowed for these supremacist rulings: “...Cow-sacrifice in India is the noblest of Islamic practices.“ “Kufr and Islam are opposed to each other. The progress of one is possible only at the expense of the other and co-existences between these two contradictory faiths is unthinkable. They are all open ended instructions to Muslims about relations with all non-Muslims, good for all times and places, and not just historical descriptions of events. “…acclaimed in both the East and West as the greatest Muslim after Muhammad, and he is by no means unworthy of that dignity...He brought orthodoxy and mysticism into closer contact...the theologians became more ready to accept the mystics as respectable, while the mystics were more careful to remain within the bounds of orthodoxy.” (W. Montgomery Watt, The Faith and Practice of Al-Ghazali, (London: 1951). He wrote The Incoherence of the Philosophers, to counter the Aristotelian philosophy promoted earlier by Avicenna (~980 - 1037) and others. 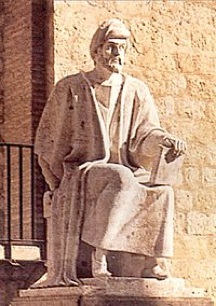 2) Averroes (Ibn Rushd, 1126-1198) - Famous Maliki jurist, renowned philosopher and legal scholar, highest Maliki authority in Córdoba during the Golden Age™ of Islam in present day Spain. He wasn’t successful advancing Greek philosophy in Islam, but is often cited today as an example of Islamic tolerance just because Europeans were interested in his teachings. 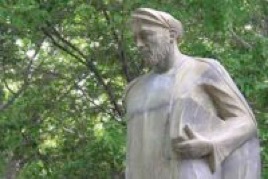 He wrote The Incoherence of the Incoherent to counter the late Ghazali’s The Incoherence of the Philosophers, but in 1195 A.D. in Cordoba, Spain, Averroes' books were burned in the city square, he was sent into exile, and the teaching of philosophy was banned. His works in Arabic today have been back translated from either Latin or Hebrew, the languages most of his books were preserved in. Islamic Holy war against followers of other religions, such as Jews, is required unless they convert to Islam or pay the poll tax. There are twelve conditions required in paying the poll tax. Fifth condition: Those possessing Holy Scriptures must not deceive Muslims or debunk what they [the Muslims] believe in. Ninth condition: Those possessing Holy Scriptures must not disrespect the Muslim Faith. Eleventh condition: Those possessing Holy Scriptures must not establish any temples or churches in the Dar al-Islam (Muslim territory), preach or read their religious books loudly, ring their church bells, or build their houses higher than Muslim houses. “Kufr and Islam are opposed to each other. The progress of one is possible only at the expense of the other and co-existences between these two contradictory faiths is unthinkable. The honor of Islam lies in insulting kufr and kafirs. One who respects kafirs, dishonors the Muslims. The real purpose in levying jizya on them is to humiliate them to such an extent that, on account of fear of jizya, they may not be able to dress well and to live in grandeur. They should constantly remain terrified and trembling.